Congress Street is on the left in this view of the Seaport, one of Boston’s hottest development districts. An unusual thing happened one November Saturday in East Cambridge: Nearly 9,000 tons of concrete were poured for the foundation of a large office building — one that does not yet have a single tenant lined up. It’s the sort of big bet that may grow more common as the Boston area’s real estate boom rolls on: Developers putting up buildings “on spec,” without signed tenants, in the hope that if they build it, someone will come. Traditionally, speculative building has been a rare and risky move in Boston’s relatively conservative development sector. Office builders typically don’t move dirt until they have leased at least half the space they’re planning. It’s a cautious approach that has protected Boston’s office market against the types of booms and busts that some other cities have experienced, but it’s also one reason the current building surge has mostly centered on housing. Now, with growing tech-oriented companies such as Wayfair and Amazon searching for large blocks of space — and finding few — more developers are mulling a roll of the dice. 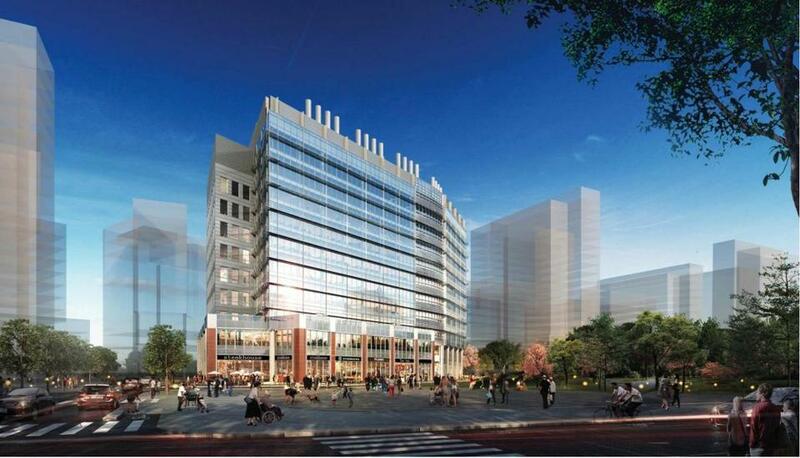 At that project in East Cambridge, DivcoWest started building 430,000 square feet of office and lab space earlier this year, sans tenants, apparently confident that by the time it’s ready for occupancy in 2019 someone will be eager to move into a new building close to both Kendall Square and downtown Boston. And the developers of a long-planned skyscraper above South Station say they’ll build on spec if the project wins final state approvals. Builders with permitted sites from Dorchester to the Fenway to downtown are also weighing whether to go the spec route. 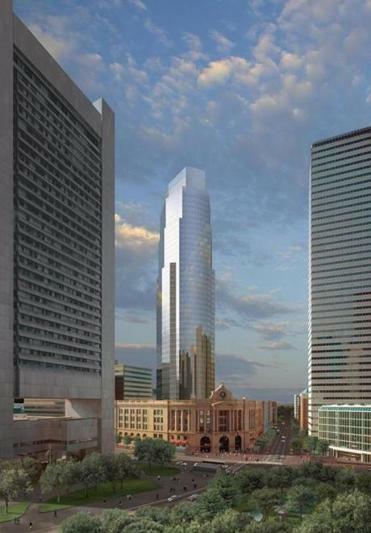 A high-rise office, hotel, and residential complex designed by Cesar Pelli & Associates would transform South Station. The optimism comes as a parde of companies expand in the city’s core, taking over much of the office space. All the activity is creating a sort of musical-chairs environment, said Ben Heller, managing director of JLL, a real estate firm, with companies being boxed out of the few big spaces that do exist by even larger tenants who want to move fast. And it’s one reason why JLL predicts that office rents will rise 6.3 percent next year, nearly 50 percent faster than they did in 2017. So rather than sign a lease and then embark on a three-year construction project, some developers are considering jumping the line. Along with Divco West’s building at Cambridge Crossing, which is underway, Nordblom reportedly is considering spec construction on an eight-story office building on Harrison Avenue in the South End, and Samuels & Associates is prepping for work on an office building at the Landmark Center in the Fenway. The development firm Hines says it will start work on its 51-story South Station condo and office tower as soon as it wins final approvals. And HYM Investment Group is considering a speculative launch of a 43-story office tower atop the Government Center Garage, sources say, betting that they will be able to fill what would be downtown’s largest new office building since the 1980s while it’s under construction. These are optimistic and risky decisions — an eight- or nine-figure wager that three years from now the economy will be as strong as it is today. 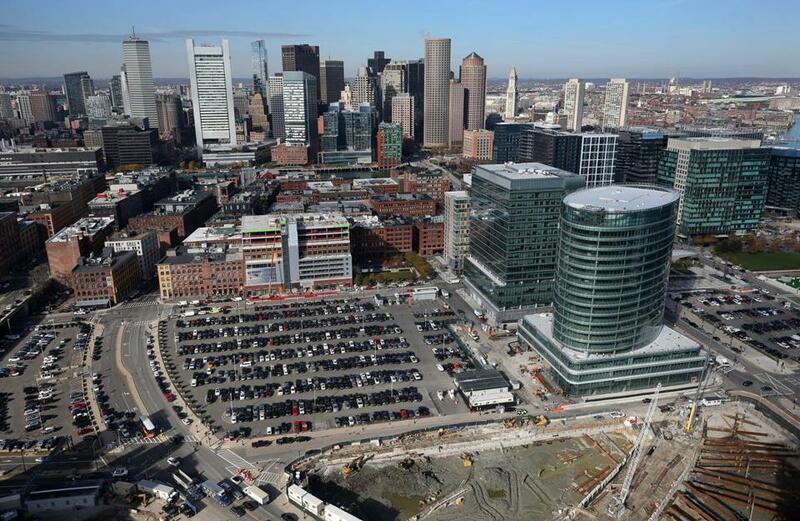 Other major office developers, such as WS Development and Boston Properties, have signaled that they’re likely to stand pat while searching for tenants. But going spec could give the right project a jump-start on landing a marquee tenant, said Aaron Jodka, director of research at the real estate firm Colliers. 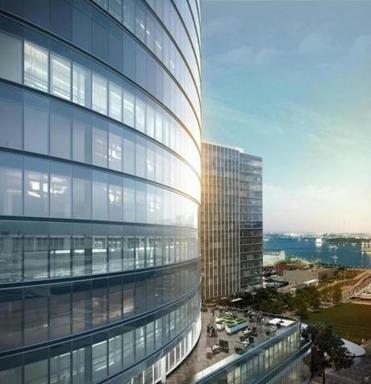 At 121 Seaport Blvd., construction began in 2015 on an 18-story office tower that’s due to open in 2019. It’s a strategy that has paid off for the handful of buildings that have been built on spec in recent years, though success came with a few nervous moments along the way. In 2015, Skansksa USA began construction and marketing for a 400,000-square-foot office building at 121 Seaport Blvd. It took more than two years to announce an anchor tenant — PTC leased 250,000 square feet in September. A week later, a life sciences company, Alexion, signed for the rest of the space, meaning the building will open fully leased in 2019. New Balance finished a 246,000-square-foot office building at its Boston Landing complex in Brighton before signing any major tenants. But when Framingham-based Bose Corp. recently went looking for an office in the city, the Boston Landing building had 100,000 square feet ready for move-in next summer. Samuels successfully leased eight stories of spec-built office space at its Van Ness building on Boylston Street, luring the health data company Optum to take enough room for 800 employees. When that project began, the Fenway was an unproven office market, and having an actual building to show potential tenants helped sell it, Sougarides said. Today, the market for office space in the neighborhood is strong enough for Samuels to change its plans for the nearby Landmark Center building. Instead of 600 apartments, it will house a half-million square feet of office space. While designers finish up the plans, the company will spend the next few months analyzing whether to plow ahead with construction, regardless of whether it has secured a tenant.